You will improve your health and have a fitter body by getting into kardio kicks training fitness programs. Kardio Kicks is the one of the best ways for you to have a stronger body and gain confidence. Kardio kicks workouts can help you be more aware and have the ability to protect yourself. 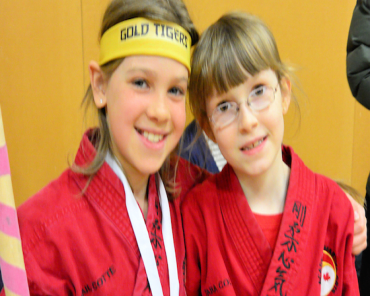 Many people see positive results from kardio kicks training. You will develop stronger and more defined arms and legs. These classes also help you to gain a sense of inner strength and emotional balance. Kardio kicks training classes came into mainstream physical fitness training almost 25 years ago. People have seen the benefits on the cardiovascular and toning of the muscles from kardio kicks workouts. Kardio kicks classes is an innovative variation of the jabs, power punches, defense, and fitness while blending aerobics exercises. You will learn the proper execution of the punch and kick combinations for a more intensive work out that will help you become stronger and more confident. The combinations are performed to an imaginary opponent. Part of the class will have you throwing punches and kicks on the air. 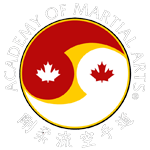 The kardio kicks classes at the Port Credit Academy of Martial Arts has high quality equipment such as punching bags and you may also have the option of getting a partner that has hand pads for improved skill development. In a kardio kicks workout, you will to burn between 500 to 950 calories in just an hour. 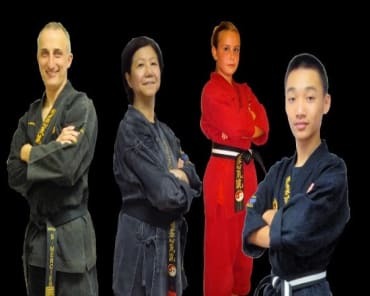 Kardio kicks training will improve your speed, reflexes, flexibility, and strength. The safe but repetitive motion on arms while you punch helps your arms and legs gain strength and power. Kardio kicks training also develop balance and coordination that enables your body to be stable and maintain a good form. These physical benefits you gain from kardio kicks are just few of the many benefits that you will obtain. You will be also learning more about defense mechanism skills, which can be used in case of unwanted instances. You will also feel the satisfaction when you punch or kick. Relaxation and self-motivation is also developed. You will feel a sigh of relief as the stresses from daily living are released during a kardio kicks session. It also helps you to get rid of tensions and feelings of anger that is inside of you. Once these things are released, you may feel lightness into your body and peace of mind. Many aerobic and fitness experts recommend kardio kicks type of training lessons for beginners. The classes allow you to work out on your desired pace and level of fitness. Kardio kicks classes let you to push yourself to the limit as long as you are safe and well-conditioned. Positive results await you with kardio kicks training. You will enjoy a physically fit body and keep yourself in better shape. 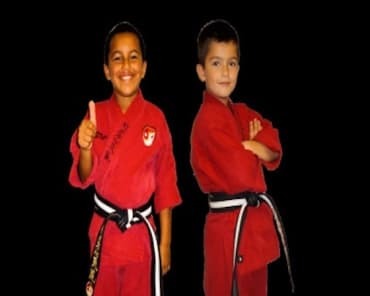 Enjoy the fun of these kardio kicks training programs by getting involved today.